M.L. Parker’s new book “In Our Father’s Blood” is an absorbing narrative that sends a message of love and compassion amidst bigotry, hatred, and evil. Recent release “In Our Father’s Blood” from Page Publishing author M.L. Parker is both deep and emotional; it tackles themes of prejudice, pain, and suffering the world faces, and how one can make a change in society by spreading the value of unity and empathy. M.L. Parker, an evangelist, preaching and teaching in Illinois, Wisconsin, Kentucky, Louisiana, Ohio, California, Arkansas, and Missouri, as well as a minister of prayer hour for Walker TV program in Chicago Heights 11, has completed his new book “In Our Father’s Blood”: a gripping journey of faith and hope amidst negativity emanating from the social stigma. Published by New York City-based Page Publishing, M.L. Parker’s thought-provoking story is a relevant page turner that mirrors the modern society, that despite saying that equality has been practiced, the stain of distressing bias still overshadows man’s potential to feel kindness and benevolence. 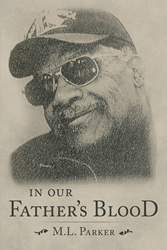 “In Our Father’s Blood” also reflects the author’s experiences of racism and injustice. Readers who wish to experience this engrossing book can purchase“In Our Father’s Blood” at bookstores everywhere, or online at the Apple iTunes store, Amazon, Google Play, Kobo, or Barnes and Noble.